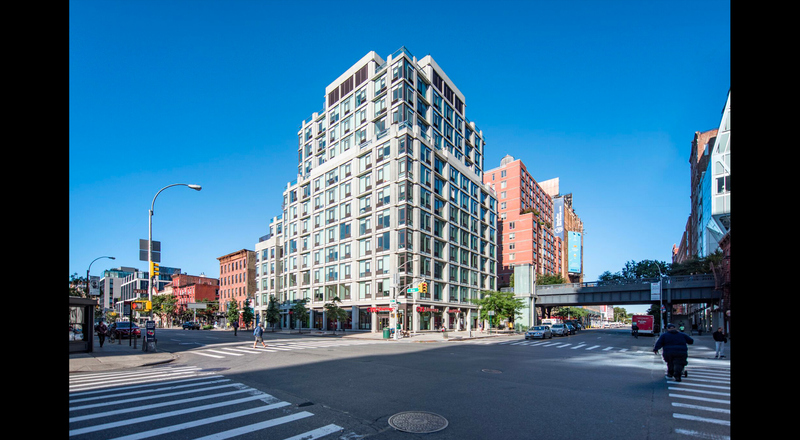 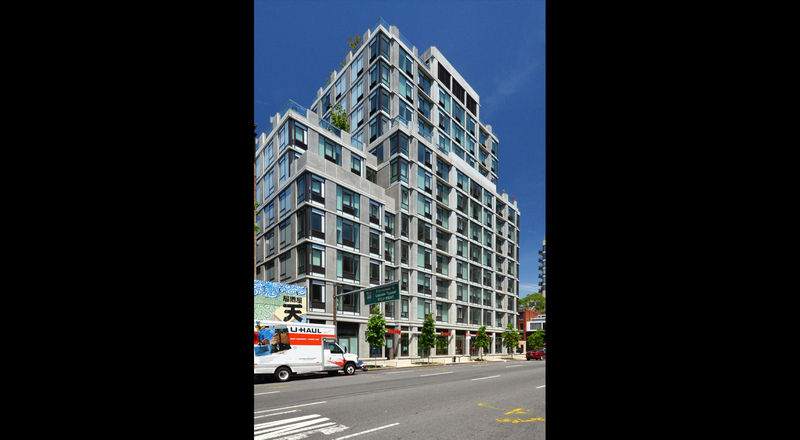 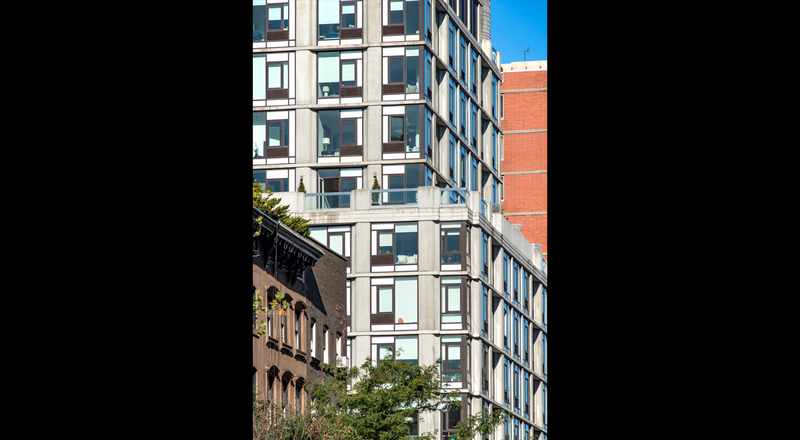 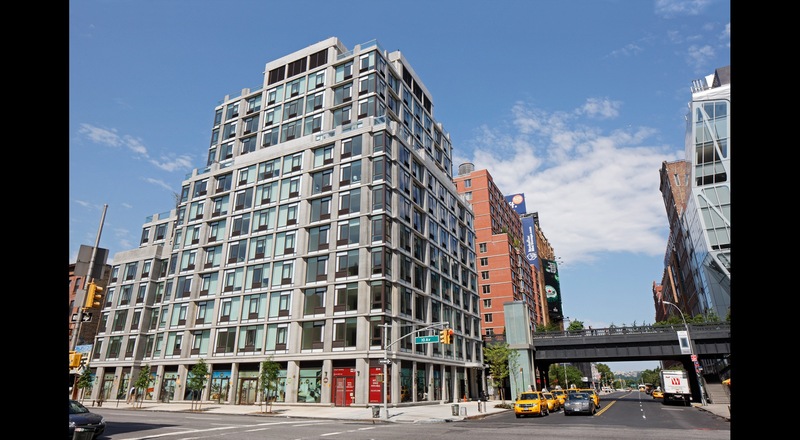 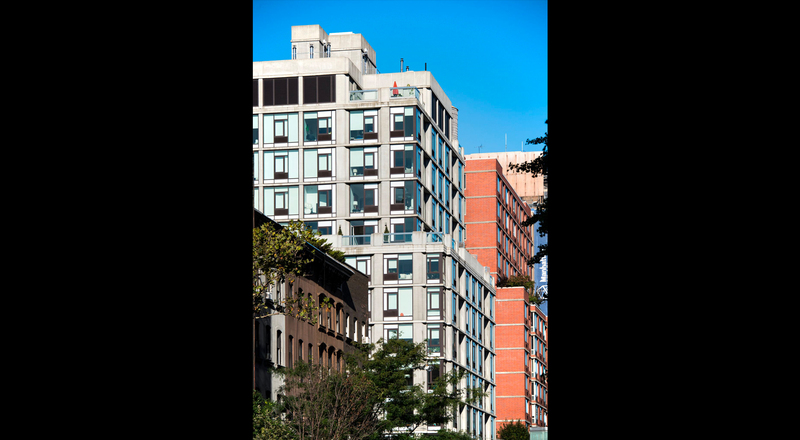 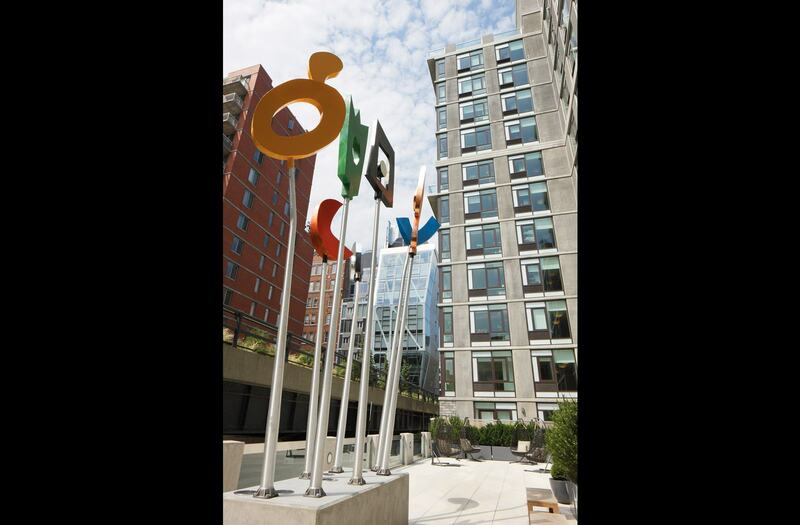 Ten23 is a 12-story, 113,000 sf residential tower with 111 luxury rental apartments adjacent to the High Line. 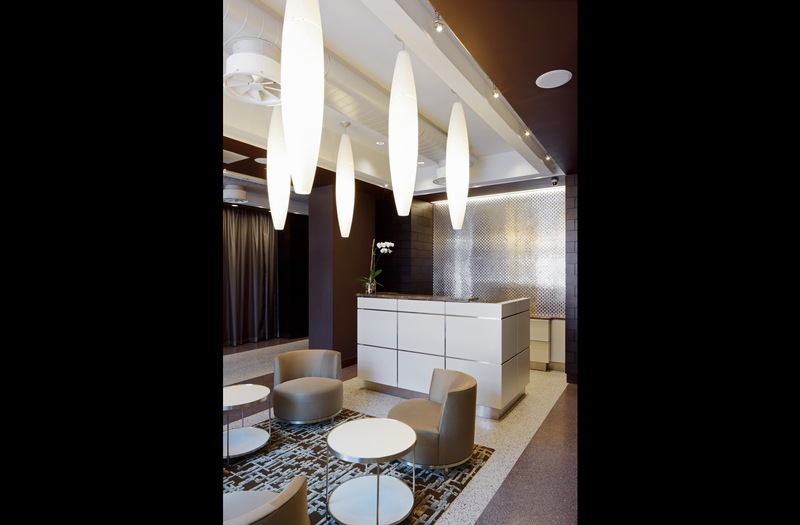 The project includes a lobby, concierge, fitness room and garden terraces. 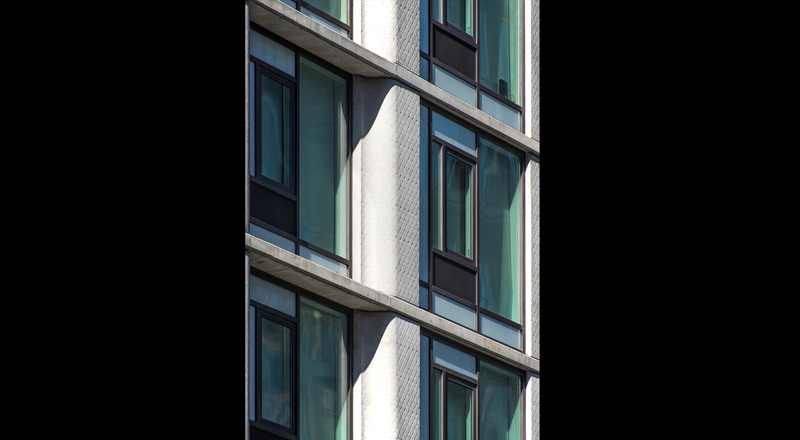 The façade of 500 West 23rd Street is a stunning composition of translucent glass set within an ornamental cast-in-place concrete frame. 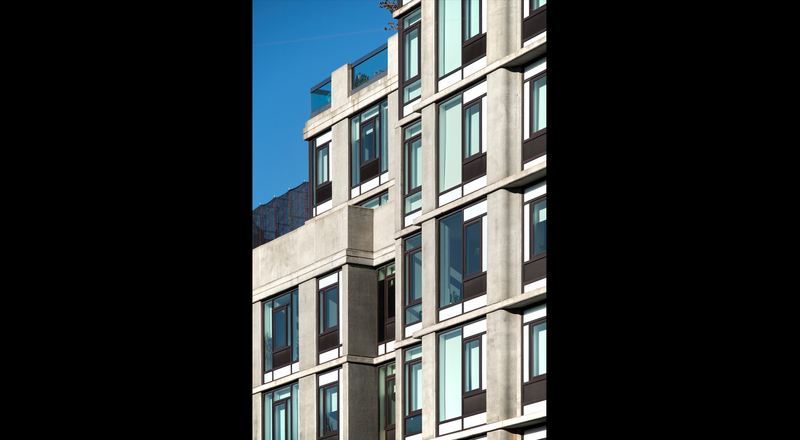 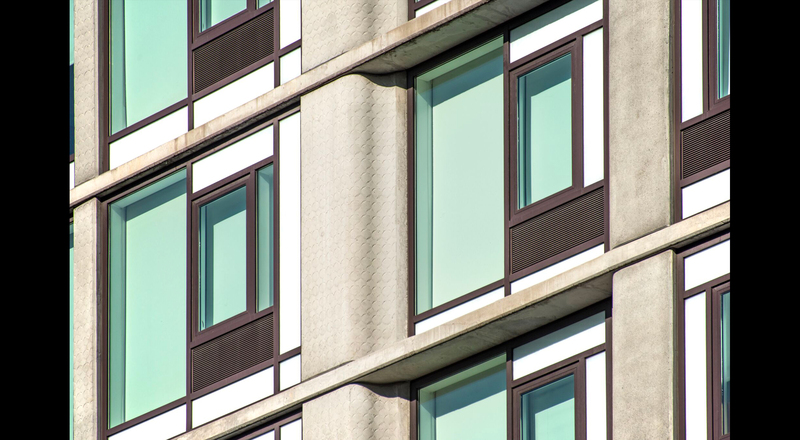 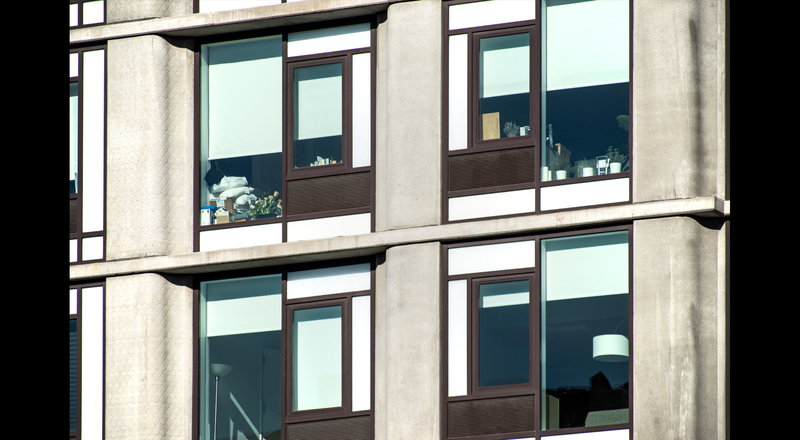 The straightforward aesthetic juxtaposes the smooth glass and aluminum window units next to the textured surface of structural concrete, highlighting the strengths of both elements. 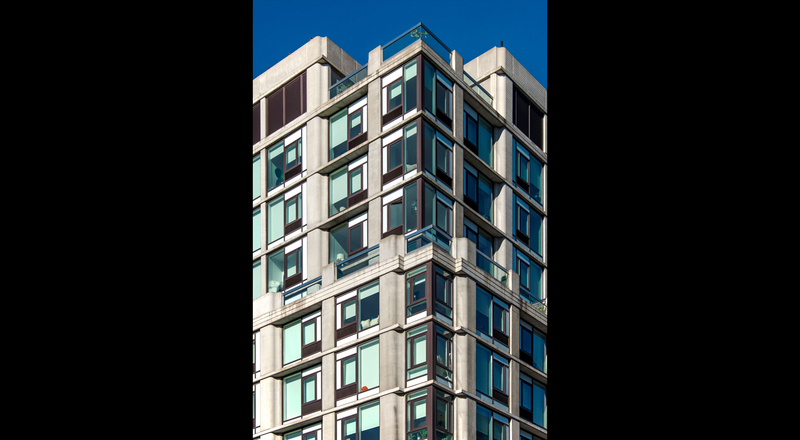 This minimalist approach produces a practical, yet imaginative, layer to the tower’s remarkable façade. 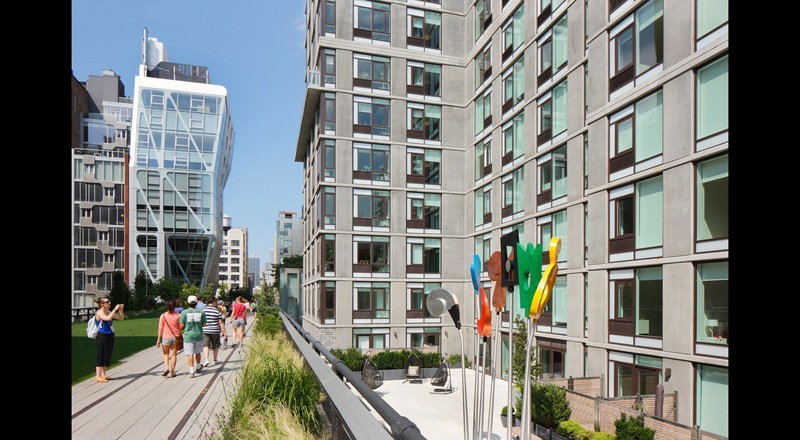 In order to create a link between the rental tower and the High Line, multiple private terraces as well as three common roof gardens featuring a roof lawn. 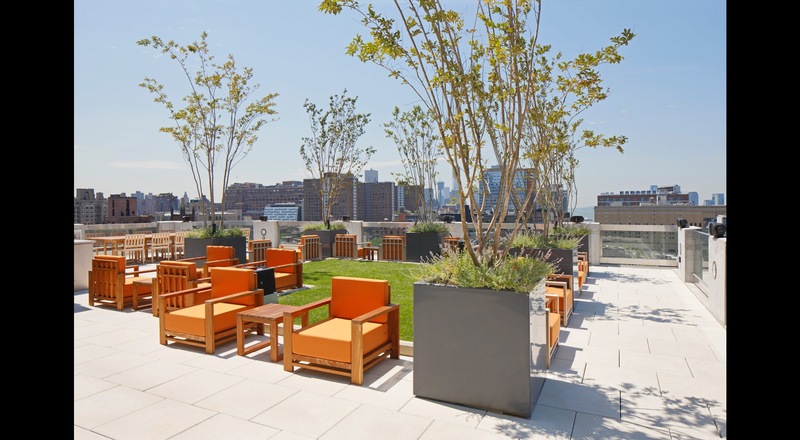 State-of-the-art audio/visual equipment for outdoor movies have also been incorporated into the features of the building.